Read the full post on PsychCentral. My mother was diagnosed with Bipolar Disorder when I was a teenager, and for most of my life, I didn’t understand many of the things she said or did. After she passed in 2012, I began my healing journey from trauma, anorexia, and related disorders, and after a couple years, began educating myself about Bipolar, a condition that once terrified me. Read the rest of the post on PsychCentral. I was naturally a shy, introverted child. Add in an abusive environment, a mother with severe mental illness, substance abuse, and an early battle with eating disorders, and my shyness was lit on fire. Turning inward to the extreme and developing depression, playdates in my room with stencils, colored pencils and drawing pads were my everything. This was my way to connect to life and imaginary people. Read the full blog post at Eating Disorder Hope. Join Nikki, Peaceful Hearts Foundation, The Bella Vita and Project HEAL SoCal Chapter at UCLA for a healing art therapy workshop focusing on child sexual abuse and eating disorders. Have a B.E.A.U.T.Y submission of your own? Sapan Karecha is an artist, photographer and musician living in New York City. He has personally seen the harmful effects that eating disorders can have, as a couple of people in his family have been affected. Sapan is a proud supporter of our Artist Initiative Team for the Los Angeles NEDA Walk, and has even created a special art piece to be printed on T-shirts for the walk! 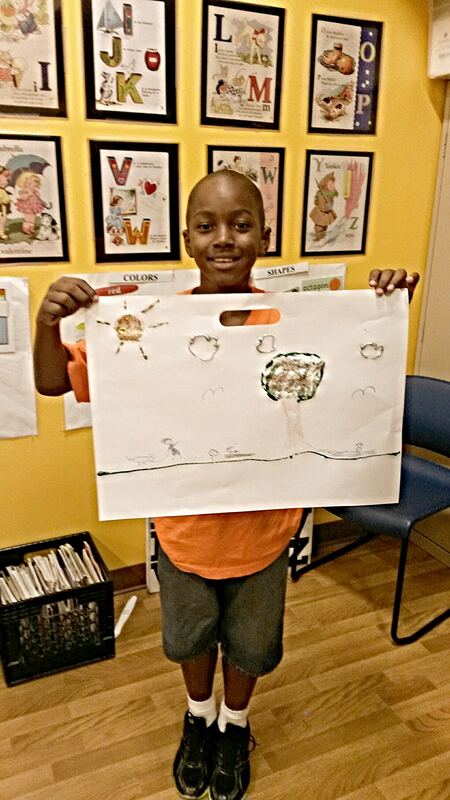 We are honored to share his story and find out what his artwork represents. “The art piece I created for (The LA Artist Initiative Team) features four words written on the iris and pupil of an eye: hope, healing, happiness, and central to it all, love. Finding harmony in our personal lives and contributing to harmony as members of a greater community comes from non-judgmental love and compassion. We must always look at ourselves and others with loving, compassionate eyes, because this is how the seeds of hope, healing, and happiness are sown. It all begins with love. I am honored to share this kid’s art diorama by fellow teammate and recovery warrior, Susana Fernandez. 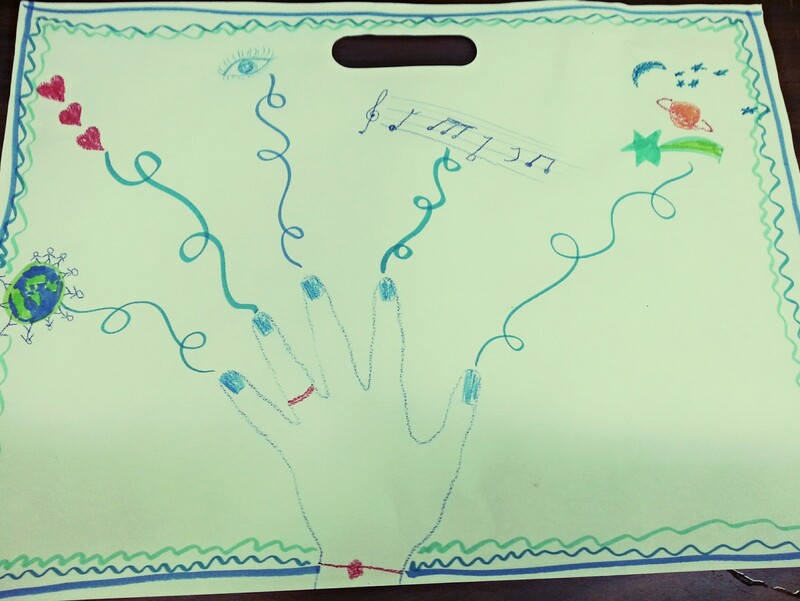 Susana uses her artistic talents every day in her personal life and in her profession as a teacher. She inspires countless young people to hone their energy into pieces that can change the world for the better, and Susana continues to motivate me, too! I had the pleasure of meeting her and her wonderful family last year at the NEDA walk, and I was touched by their passion for recovery and helping others heal as well. Susana believes that art is an incredible tool to bring about social change, and that is what she hopes to achieve with the LA Artist Initiative Team. “Gifts Come With a Struggle” by Emma K.
This piece is by a regular contributor thirteen year old Emma K. from Los Angeles. Emma is a talented young artist who understands the beauty of the pain behind her creations. She has struggled with obsessive compulsive disorder but has overcome so much of it through channeling her energy into her incredible artwork. 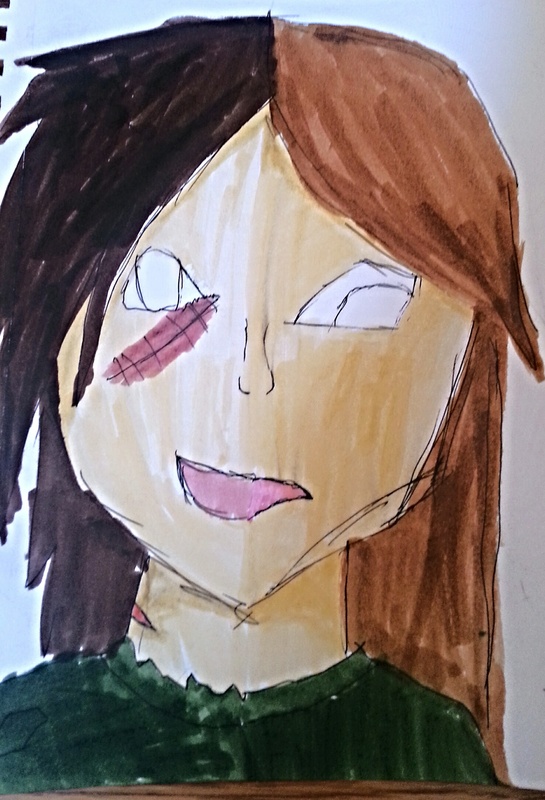 Emma normally draws in anime style, but her teacher encouraged her to paint something figurative. Emma agreed to step outside of her comfort zone and through the depiction of the Mona Lisa she and her teacher not only formed a stronger bond, but she was able to open up about her OCD. Thank you Emma for sharing a part of your soul with us today. B.E.A.U.T.Y hopes to redefine our understanding of beauty. 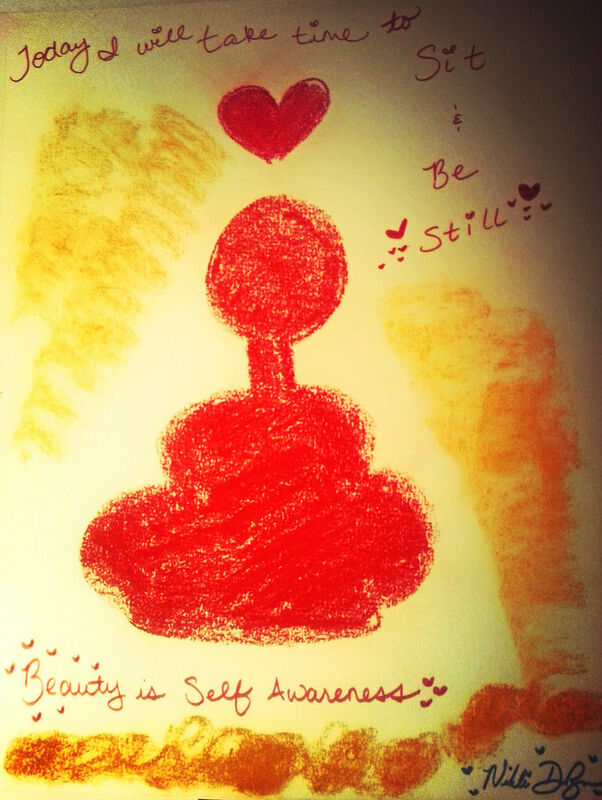 Have a painting or artistic representation of inner beauty you would like to share? Please email me nikki@nikkidubose.com to submit your poem, drawing, painting, recovery story, photograph, song, or any creation that represents your inner self…which is simply beautiful! Posted in B.E.A.U.T.YTagged #BeautyProject, art, art therapy, B.E.A.U.T.Y., beauty project, Emma Klein, God, inner beauty, mental health, nikki dubose, obsessive compulsive disorder, Overcomer, redefining beauty, youthLeave a Comment on “Gifts Come With a Struggle” by Emma K.
Thank you, Justine, for your powerful perception on inner beauty! 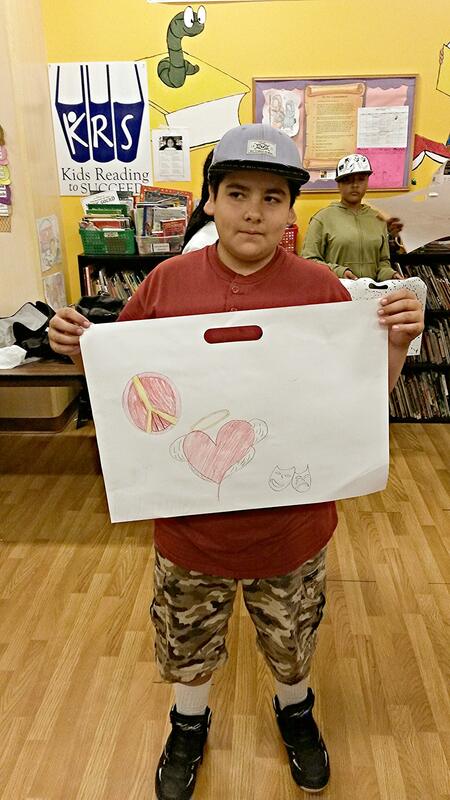 Orlando drew a peace sign, an angel heart with wings, and a happy/sad mask for the Beauty Project! 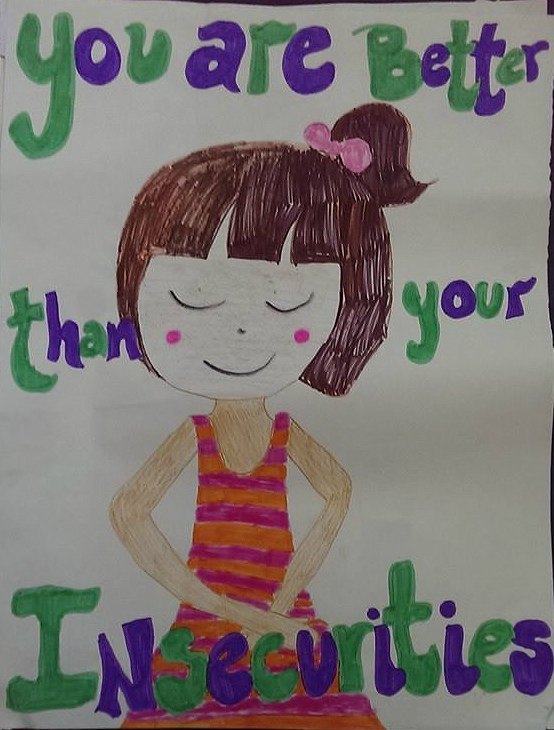 Thank you, Orlando, for your positive drawing on inner beauty! Jordan sees beauty as being outside and playing in the fresh air, surrounded by nature and a dog, too! I think that that’s not a bad way to see life, what about you? How about getting back to nature and reconnecting with the simplicity of what God has created? Life is naturally beautiful; sometimes we just need to stop and pay attention. Thank you Jordan, for your art and zest for creation! Damien believes that “Beauty” is Without Words! I have to agree! What do you think? Perhaps the most meaningful things in life are only felt, and not seen? Thank you, Damien, for your insight and creativity! 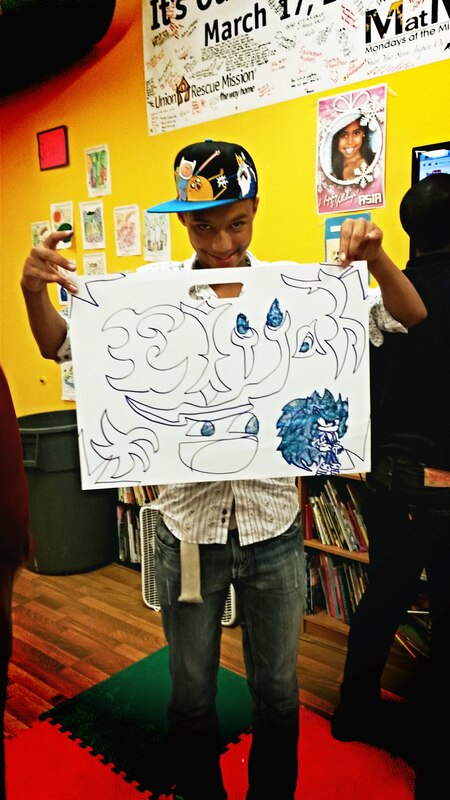 Elijah lent his creative eye to the Beauty Project and drew Sonic the Hedgehog! Beauty can be expressed through art and however we choose to see it. Thank you Elijah for this incredible drawing of Sonic the Hedgehog, it’s fantastic! Today’s Beauty Project is brought to us by the very bright James! 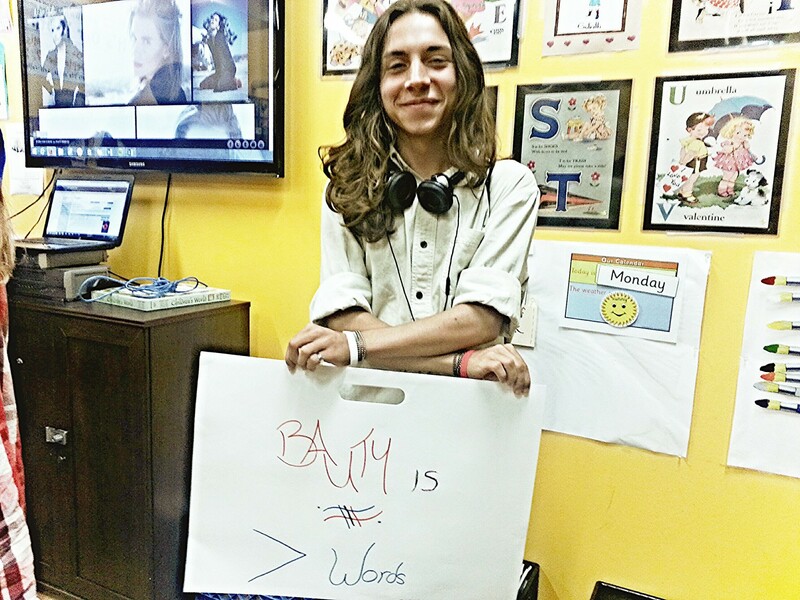 Here is William’s interpretation of B.E.A.U.T.Y! spreads, and that is the most powerful tool that you can ever have, right? I was Blessed to be asked to speak to a very talented and special group of students at a Mondays at the Mission class which is held at Union Rescue Mission here i n Los Angeles. Each and every student greeted me with open arms and warm smiles, and they taught me just as much as I had to tell them! I opened up the class with my story about how when I was a little girl my dream was to be a supermodel because I thought that that was the greatest thing in the world! I imagined that a glamorous life filled with clothes, hair, makeup, and outer beauty would cover up all of the pain that I was experiencing in my home life. I went on to explain to the m that sometimes in life we are drawn to superficial standards of beauty and happiness because we are deeply unhappy with circumstances on the inside of us and around us. I told them that as a child I was sexually, physically, and emotionally abused by a couple of people close to me and that as a result I often felt afraid. I also isolated myse lf as a child and young adult and never felt that I connected well with too many people. My mother died a couple of year’s ago from alcoholism so I felt detached from her growing up as well. On top of everything I was also hiding a big secret for more than seventeen years: I had an eating disorder that spiraled deeply out of control. I grew away from God for many years of my life because I felt angry as a result of all of the things that were happening to me that were out of my control. I was often suicidal and I made many poor choices. I then explained to them that when I became a model, I had all of the material things that I thought that I wanted that would have made me happy, however all of the people who were around me only wanted to be with me because of my job and because of the way that I looked. I learned throughout everything and all of my struggles that God always was there with me, even when I didn’t feel His presence, and that I could always rely on Him. I learned that true beauty came from the inside and that it was more important for me to share my hard times and be a role model for other people, than to place so much importance on my outer appearance alone. I now am determined to help others with their difficulties in life because I went through so many in mine. The class went so well, and the students responded tremendously to the message that it is really what is inside that matters. They disc ussed all of the qualities that a role model should have such as believing in God, the abiltity to persevere, confidence, humility, helping others, and more! 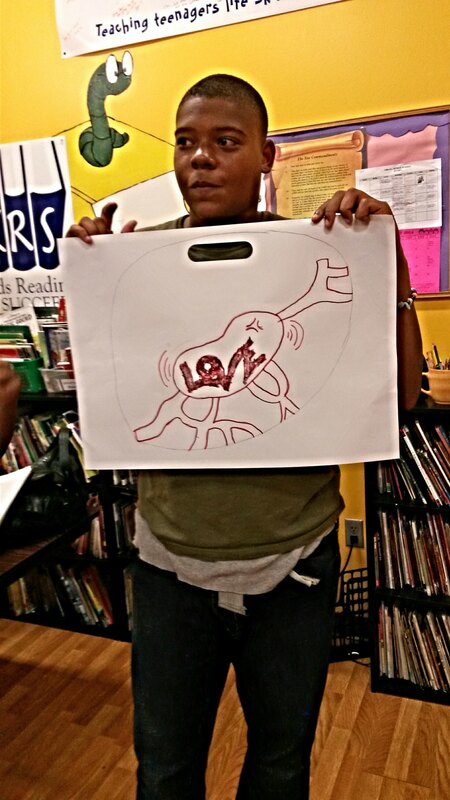 The students broke into several groups and each person drew a picture of what they thought inner beauty meant to them. I will be displaying their artwork right here on the B.E.A.U.T.Y section! I think today we can get lost more than ever with all of the social media, television and hate in the world that we really need to just be still and…quiet. In the secret, private places of our hearts, we will find the answers to what really matters. Have we as a world complicated ourselves with too much? Does the answer to life really remain…love, inner beauty, and God, above all? I believe it does. Sometimes we become broken into a million pieces inside as a result of the things that happen to us along life’s way. God has promised in His Word to give us, “beauty for ashes” (Isaiah 61:3). No matter what we have been through or will go through, we can be happy and confident because God will make us whole and complete. 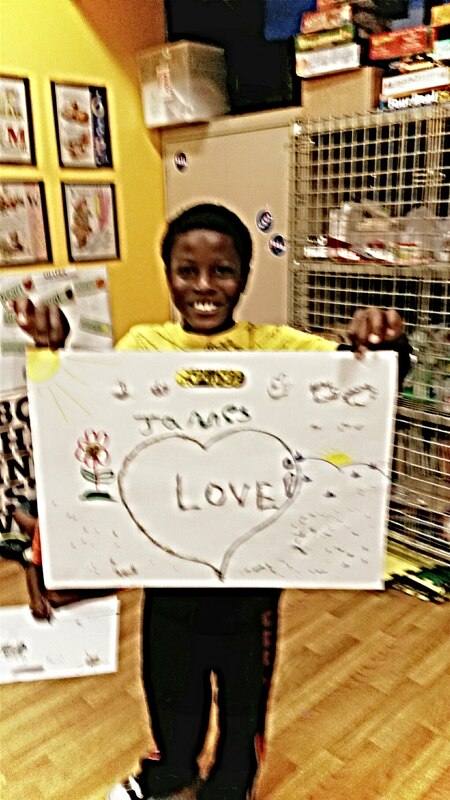 Thank you to Susie Fernandez and her wonderful art students in Long Beach, California for this joyful creation! Here is another art piece by Susie Fernandez and her creative art students from Long Beach, California. Do you ever feel as if all you can focus on is the things you don’t like about yourself? How about redirecting that energy and focus on the things you love about yourself?! Did you know you are made for greatness? You really and truly are! 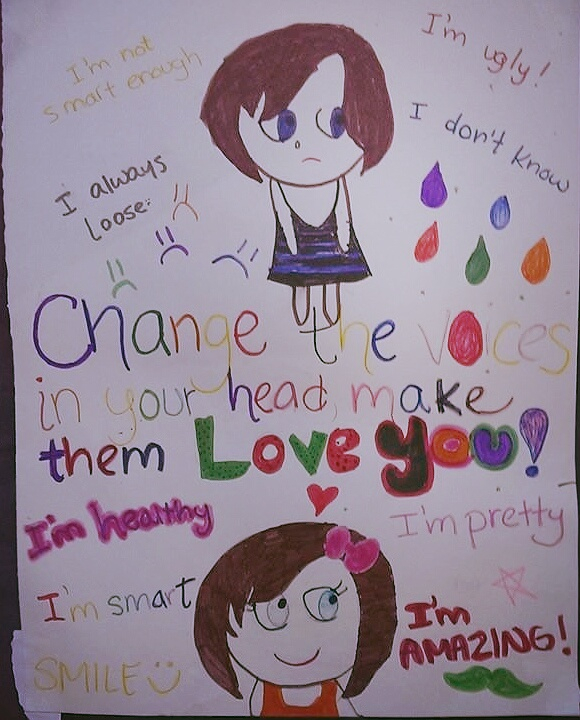 This inspiring art work comes from Susie Fernandez and her talented art students in Long Beach, California. We can change the negative voices in our heads from “I’m not smart enough” to “I’m smart,” and “I’m ugly” to “I’m pretty,” and “I’m amazing!” We can program our minds to think beautiful thoughts about ourselves, and soon, we will begin to believe the positive thoughts. What we believe, we act upon, and we spread the love to others. What negative thoughts are you having about yourself, and what phrases can you meditate on that will produce a positive change? This super cool art project was done by my spec ial thirteen year old neighboor, Emma. Emma’s beauty and talent shines inside and out, and she is a gifted artist, among endless things! Emma said that this character may not look so beautiful on the outisde, but his heart is very beautiful. Emma explained that sometimes people who are beautiful on the outside are not so pretty on the inside, so we must never judge on appearances. 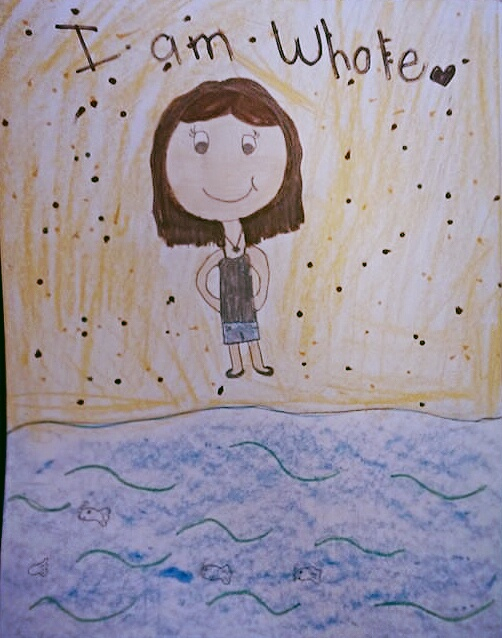 Thank you Emma for this inspiring artwork! I hope you never go another moment wondering if you are special. Look up at the stars in the sky at night and know that God made them for you. The stars shine for you to soak in and meditate on. 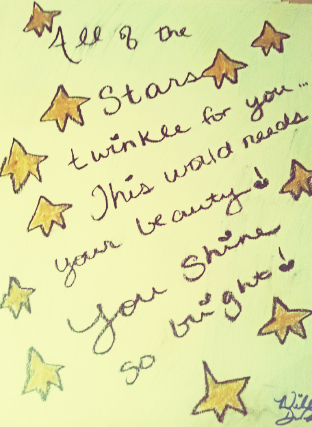 Did you know that you were born to do great things in this life, and burst with your inner beauty just like the stars? Taking time to be quiet and listen to what our bodies are telling us is vital not only for recovery but also for everyday life. We all need moments to unwind from stress. Carve out ten minutes in your day with no distractions, and breathe in deeply and calmly. How do you feel?